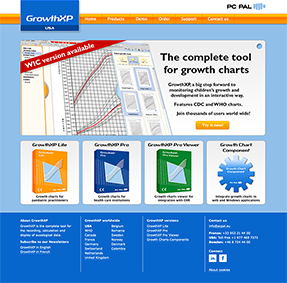 tool to monitor growth from infancy to adulthood. 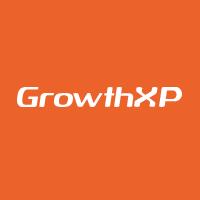 GrowthXP is aimed to support health care providers such as pediatrician private practice, nutritionists, National WIC Program, lactation centers, pediatric hospitals and endocrinologists in evaluating children growth, as well as to help make timely treatment decisions. Complete auxological data, complete pubertal data, bone age and adult height predictions, visit list for viewing historical data and many more. GrowthXP also allows automatic graph redrawing at any update and offers very similar to printed versions high-resolution charts. 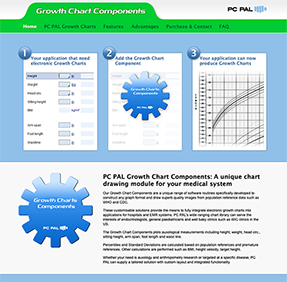 Besides helping you monitoring growth, using computerized growth charts will help you save time and solve storage issues and above all will ensure absolute patients confidentiality. It improves the recording and interpretation of pedigree data which reveal important genetic, cultural, behavioral and environmental factors in health throughout an individual’s life time. PedigreeXP is aimed to support clinical geneticists, genetic counselor, genetic consultant, oncologists, organ specialists and all specialists working on genetics. Also available as a module for integration into medical records. PedigreeXP conforms to the Pedigree Standardization Work Group recommendations. In parallel, other successful patient registries have been deployed (acromegaly, ophthalmics, diabetes). More recently, rare disease registries have been a perfect match, needing multiple medical aspects coverage for complex patient contexts and long term follow up. PC PAL’s Application Framework is a common framework of reusable code, especially developed for registries. It allows intelligent reuse of basic functionality, allowing custom development when needed. PC PAL’s solutions for Patient Registries are successful because they are customized to match the exact needs of both clinics and sponsors, based upon true experience in the field. Its functionality is tailored to the pediatric endocrine specialist's needs in that field. It allows caregivers to obtain for each patient, through a real-time capture of various clinical, biological and therapeutic data, a thorough monitoring and analysis of this data using for instance graphs and average calculations. This data refers to the balance of the disease, insulin requirements and the height-weight and pubertal development of the patients, as well as information on other problems associated with diabetes (acute and chronic complications, skin problems, psychosocial data). This data can be analyzed on the cohort of patients from one clinical center or from a group of clinical centers using the same tool. Allowing the registration of new cases and the follow-up of cohorts, it is thereby a very useful tool for creating a registry of the disease. 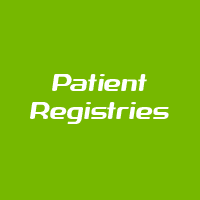 This registry can cover patients on local, regional or national level. It can even, through automatic and real-time generation of statistics and multiple analyzes, allow quality scientific work on a large number of patients, which is the main reason of having a registry. This ability to facilitate the creation of a registry for diabetes specialists, while being a day-by-day tool for caregivers, is an undeniable advantage of this application.